The development of the genre from antiquity to the present day: how did religion and the invention of oil painting contribute to the development of the genre in Europe, and why is the Hudson River so important? The word "landscape" is derived from the French word paysage, which means "country, land". 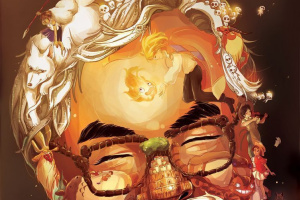 Artists depict their environment. Also, the word "landscape" refers to a separate work created in this genre. There are different types of landscapes, e.g. images of the sea, or seascapes (marine painting), and veduta — urban landscapes. Schematic images of landscapes are found in reliefs created by masters of Assyria and Mesopotamia, and were — in the modern sense — a mix of genres, complemented with battle or everyday scenes. 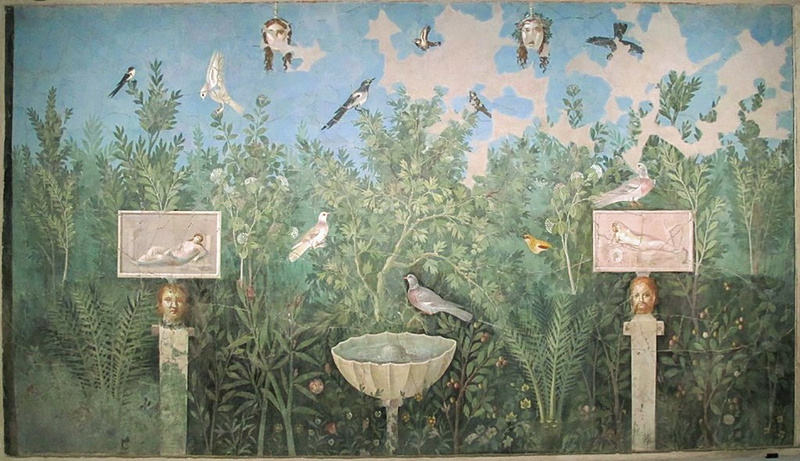 The first landscape paintings were created in Ancient Rome — frescos depicting nature and gardens often decorated rooms; some beautiful examples of these paintings have been preserved in Pompeii. Images of nature were popular in Persian miniature and Indian painting. Spring with Birds. Fresco. The House of the Golden Bracelet. Pompeii, 30−35 A.D. 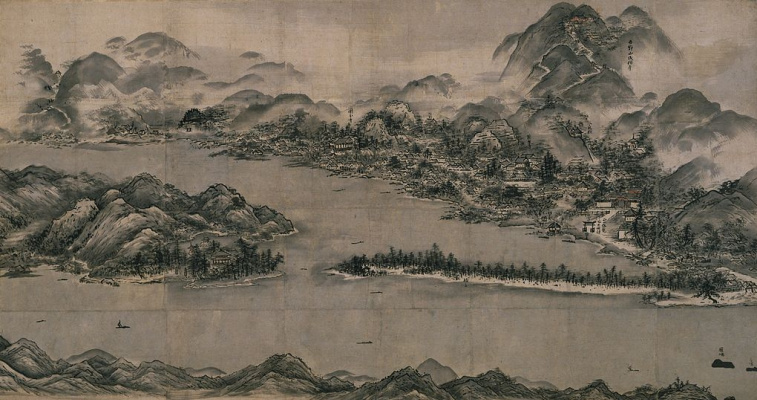 In the 6th century AD, landscape painting was established as a genre in China. The embodiment of the world order — nature — has become the main character of the painting tradition of shan shui ("mountain-water"). 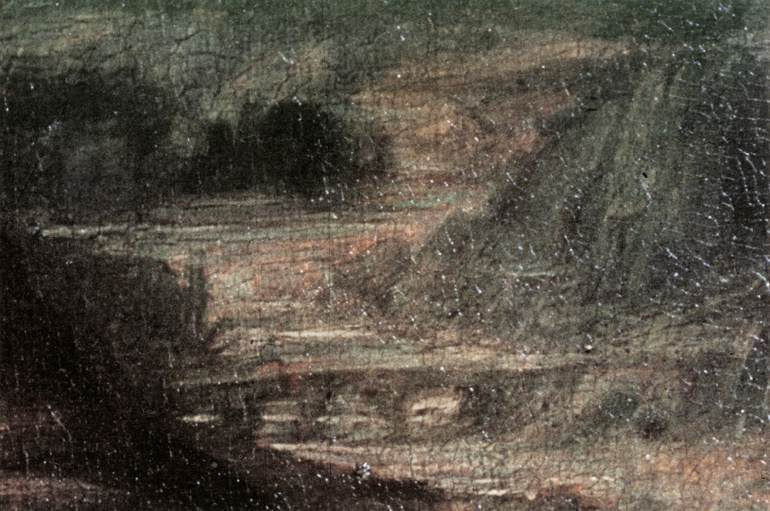 Panoramas depicting mountains and forests, with tiny houses and boats floating on the lake, were limited only by the length of the scroll on which the artist painted them. The perspective was created by blurring paint in the background, and the paintings were traditionally complemented by the poems written in the technique of calligraphy. In Japan, landscape painting "suibokuga" as a genre was formed much later — only in the beginning of the 13th century. 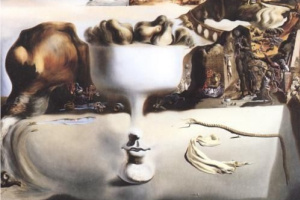 At first, paintings were monochrome: the artists used only ink. 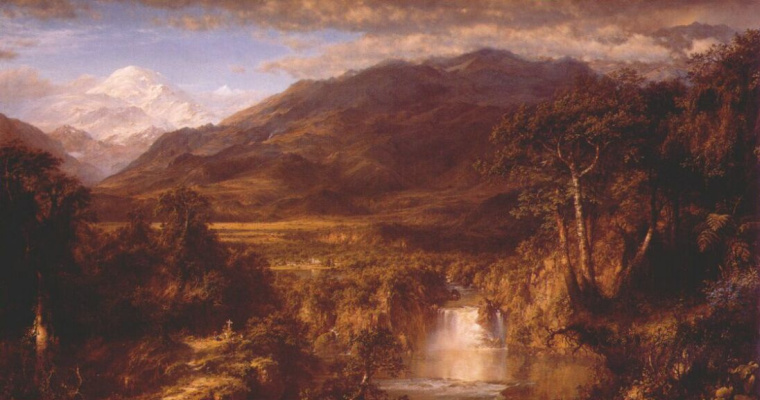 Their landscapes consisted of individual parts and had little to do with the real landscape, representing an aesthetic, philosophical point of view on the surrounding nature. Some artists depicted places they had never visited, but heard of them in the stories of travelers. The masters' individual view was squeezed into the canons and traditional schemes for creating paintings, which were rooted in Chinese art. 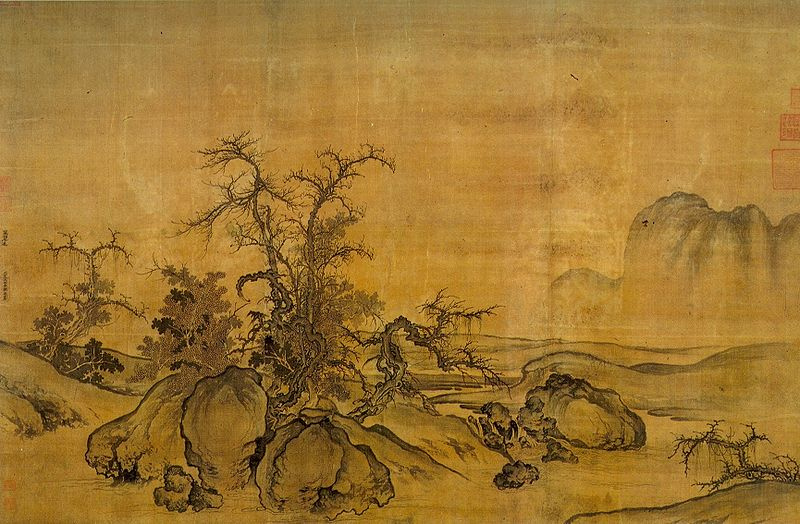 This approach was first "broken" by the artist Sesshū (1420−1506), whose paintings depicted existing scenery. It was only in the 17th century, when the landscapes depicted real views, and the final breakthrough was made by the artist Katsushika Hokusai (1760−1849). 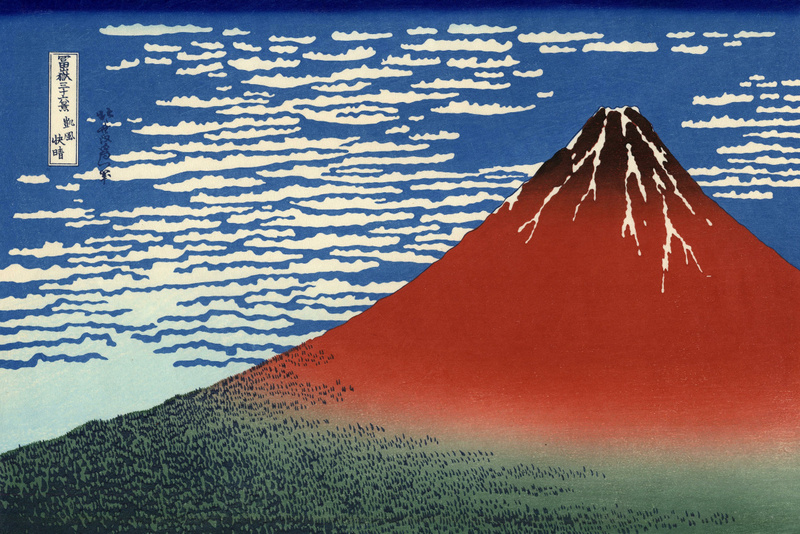 He created a series of landscape prints Thirty-six Views of Mount Fuji, which completely dismissed the canonical way of depicting this sacred mountain in Japan. The recognition of a spiritual element in landscape art is present from its beginnings in East Asian art, drawing on Daoism and other philosophical traditions. 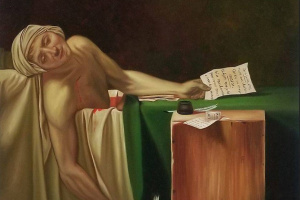 In the West, it only became explicit with Romanticism. For artists of the East, landscape painting has always remained a significant genre, while in the West, it reached its greatest popularity only in the 19th century. 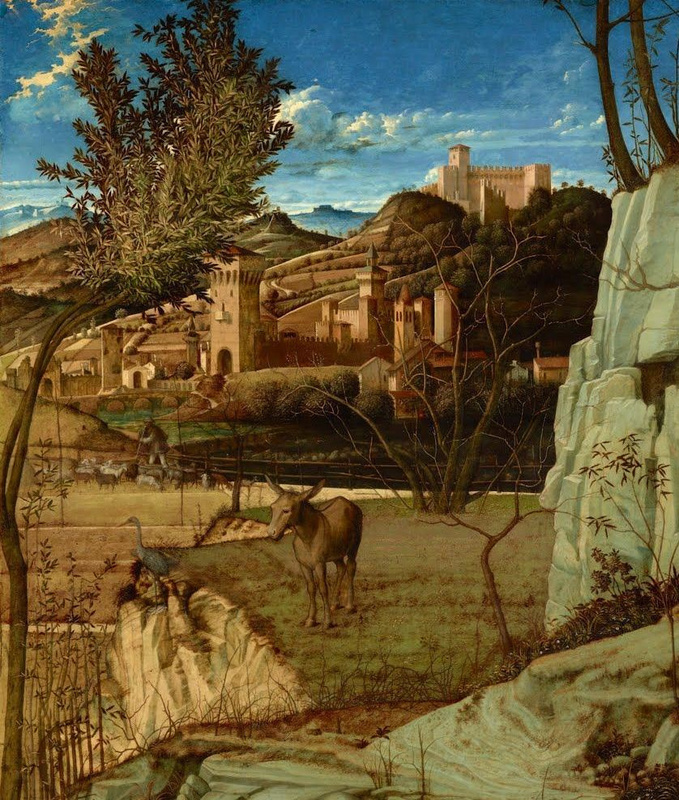 The first paintings, which art critics call "real landscapes", are kept today in the National Gallery of Siena. 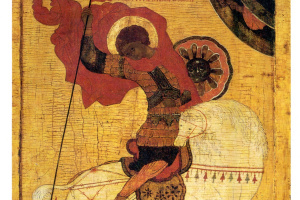 Two small images painted on wooden planks date back to 1338−39. In the Renaissance, the depiction of natural landscapes was often complemented by hunting, heroic and battle scenes, and even portraits — for example, Leonardo da Vinci's famous Mona Lisa. 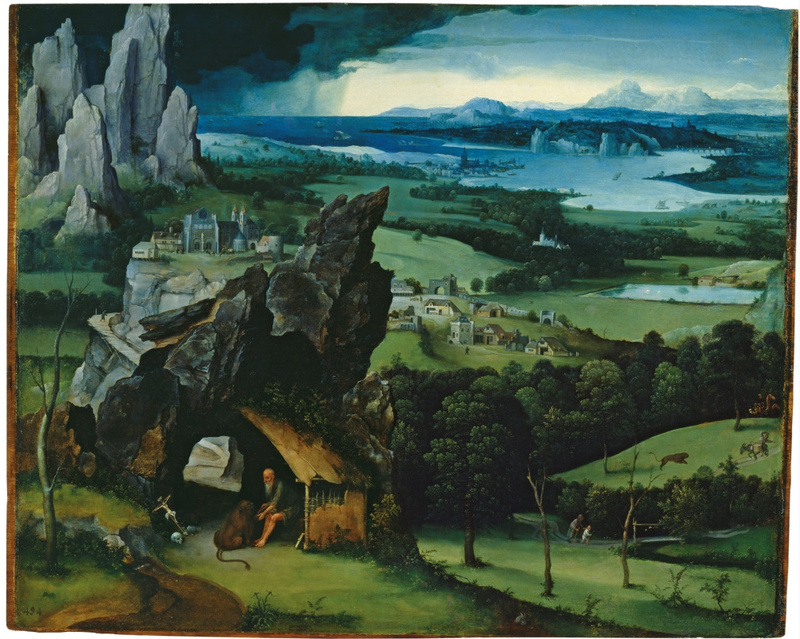 It was much later when landscape painting became a separate genre; its founder is considered to be the Flemish artist Joachim Patinir (1483 — 1524), whose style was used and perfected by Pieter Brueghel the Elder. With the invention of the technique of oil painting, followed by varnishing paintings, the artists of Venice began to pay more attention to the geometry of perspective, rather than conveying depth using colour. Architectural details in the paintings became smaller, while the images of landscapes grew bigger. The Italian development of a thorough system of graphical perspective was known all over Europe. 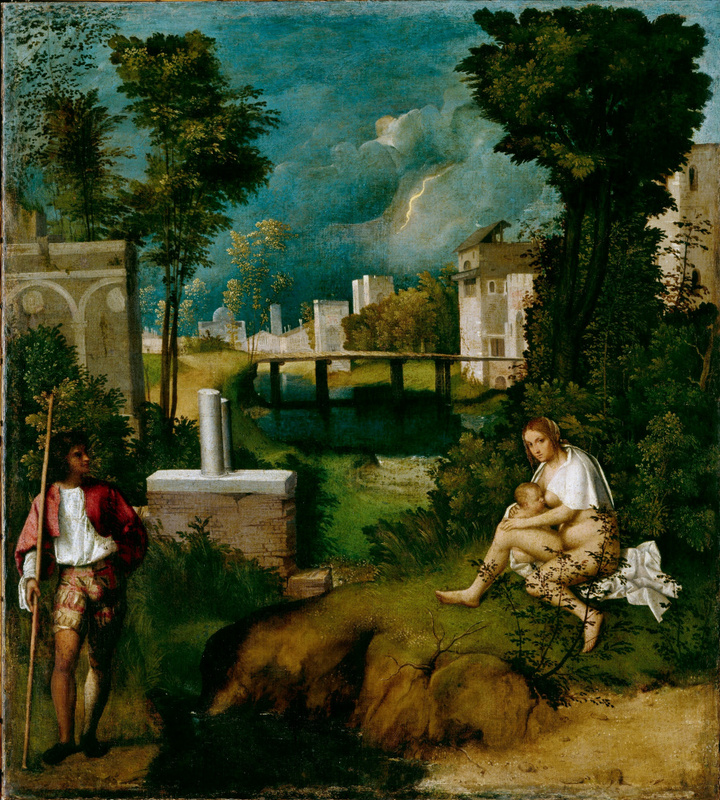 However, in the Renaissance, the landscape still remained in the form of the "views from the windows" and served only as a detail of the painting. 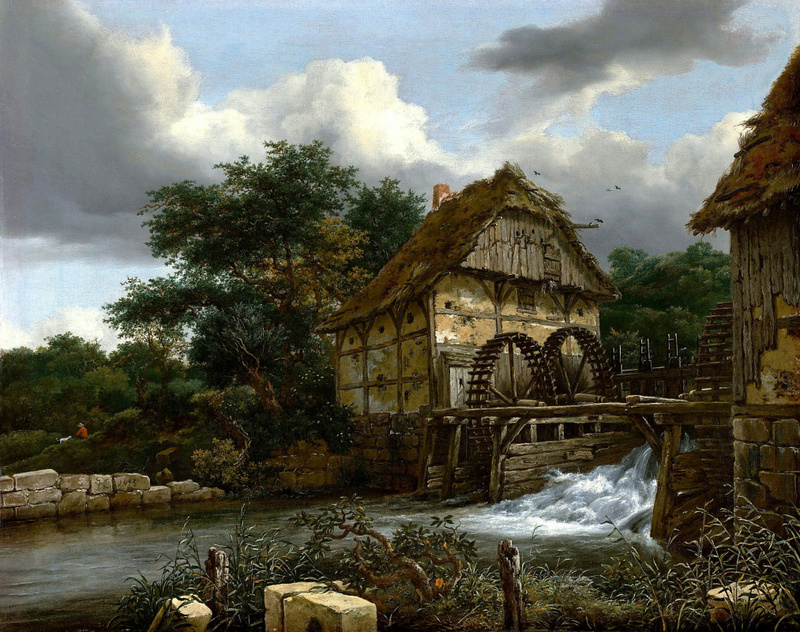 Landscape painting began to develop in the Netherlands, where in the 17th century Protestantism almost supplanted Catholicism. The clergy lost their decisive influence on science and art, the altar images were not painted due to the lack of necessity, and the University of Leiden was considered the center of free thinking. 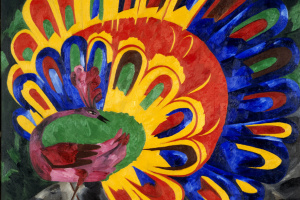 Dutch artists created their works for middle-class people who decorated their houses with paintings. Easel paintings of the Dutch artists of that period were mostly characterized by a small format and simple plots, and the artists themselves were called "the little Dutch Masters". 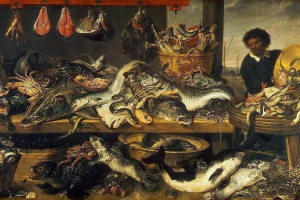 The main genres in which they worked were portrait, landscape, still life and animal painting. There were different types of landscapes: evening and night ones, winter and plain ones, rural ones, and the images of ships in the harbor. 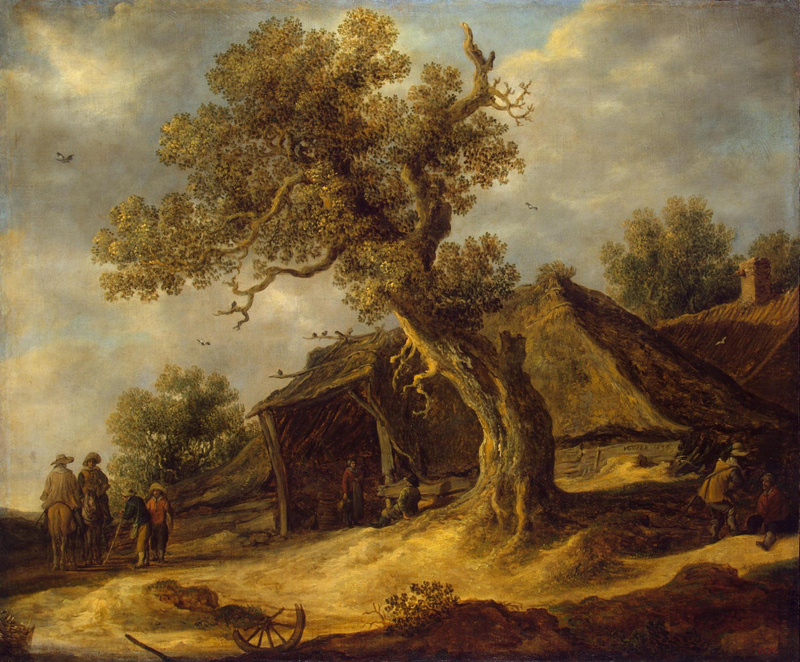 In his Art of Painting (1667), Frenchman Roger de Piles distinguished two main kinds of landscape painting: the historical and the pastoral or rural. Moreover, according to Piles, "landscape painting causes many difficulties for the artist due to the diversity of forms and the complexity of the perception of space." Heroic landscapes depict ideal nature, the grandiose and tamed by man one, with the elements of architectural solutions. The pastoral or rural landscape offers a more naturalistic and humanistic view of the harmony between people and nature. 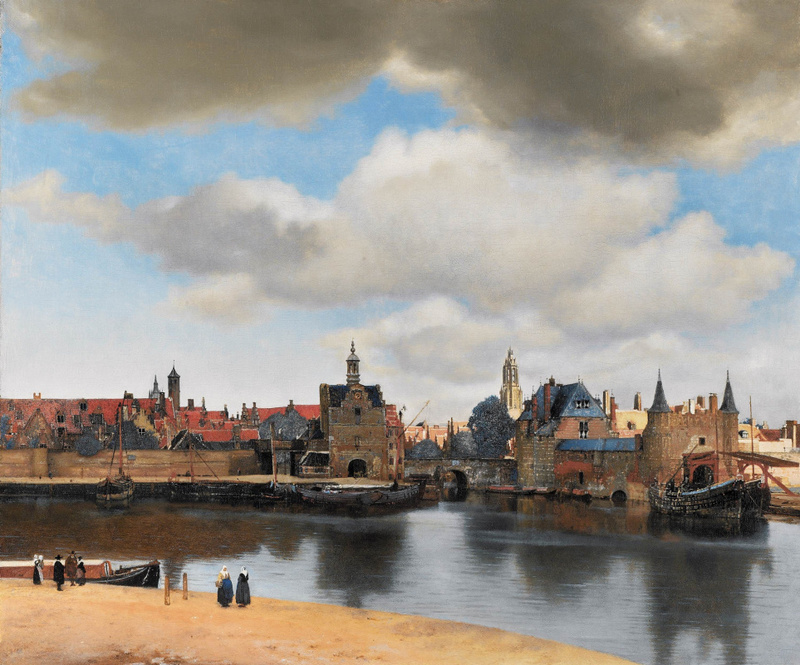 The most famous topographic landscape of the 17th century, which accurately depicts the recognizable place is View of Delft by Vermeer. 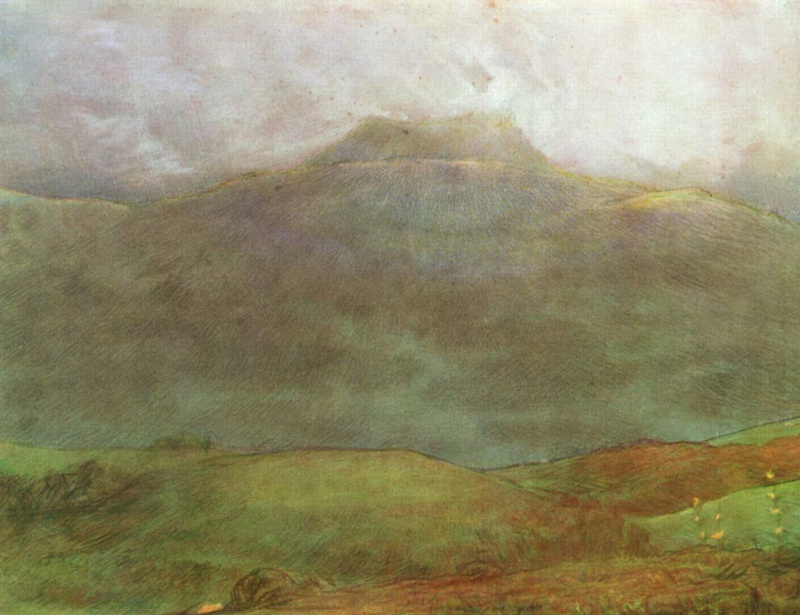 One hundred years later, there appeared a tendency towards absolute image accuracy in landscape painting. 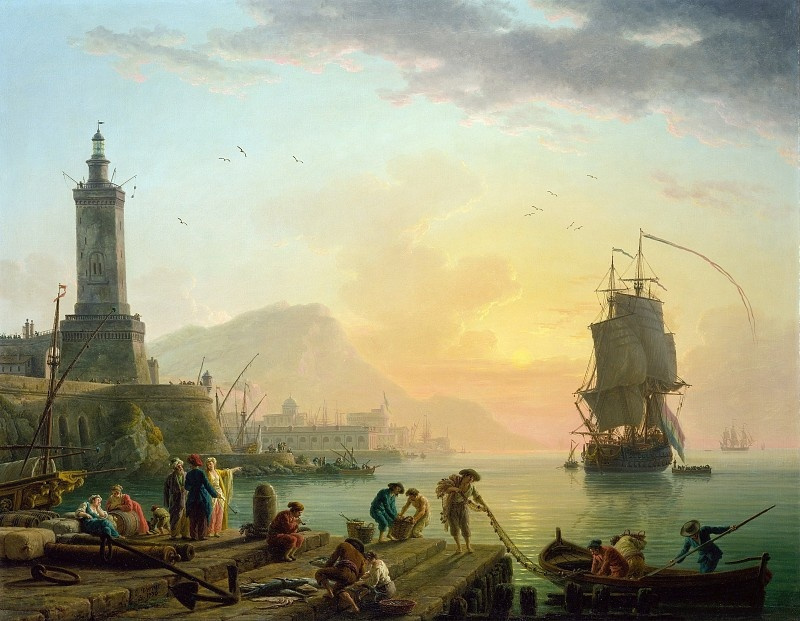 For example, the views from Claude-Joseph Vernet's series of Ports of France can be easily identified to this day. Venetian artists brought into vogue vedutas — urban realistic landscapes, which became a kind of "postcards" for rich tourists who visited the famous city of canals and carnivals. 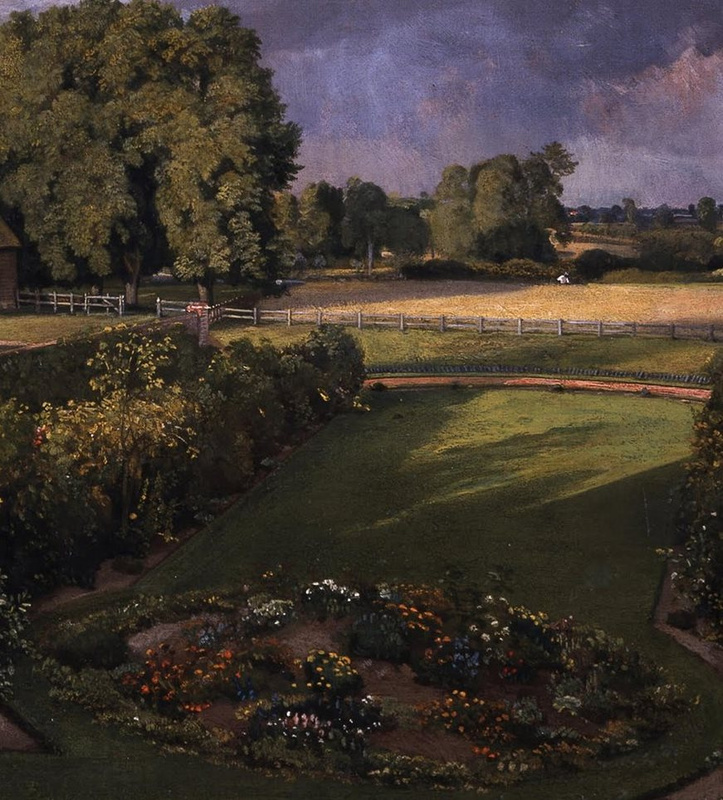 In England, landscapes had initially been mostly backgrounds to portraits, typically suggesting the parks or estates of a landowner. 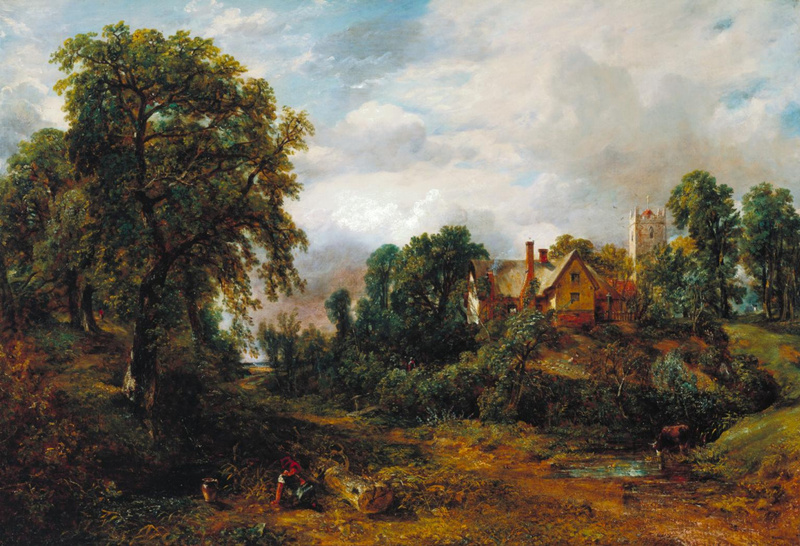 The English tradition of pure landscape painting as a separate genre was founded by Anthony van Dyck and other mostly Flemish artists working in England. The development of the genre was greatly influenced by the interest of the British towards landscape architecture. In the 18th century, watercolour painting, mostly of landscapes, became very popular (especially in England): the paintings sold relatively cheaply, but were far quicker to produce. Professional artists would often augment their income by training the "armies of amateurs" who also painted. But until the 19th century, even the most famous masters creating landscape paintings experienced difficulties in positioning themselves in the art market, which still preferred historical subjects and portraits. 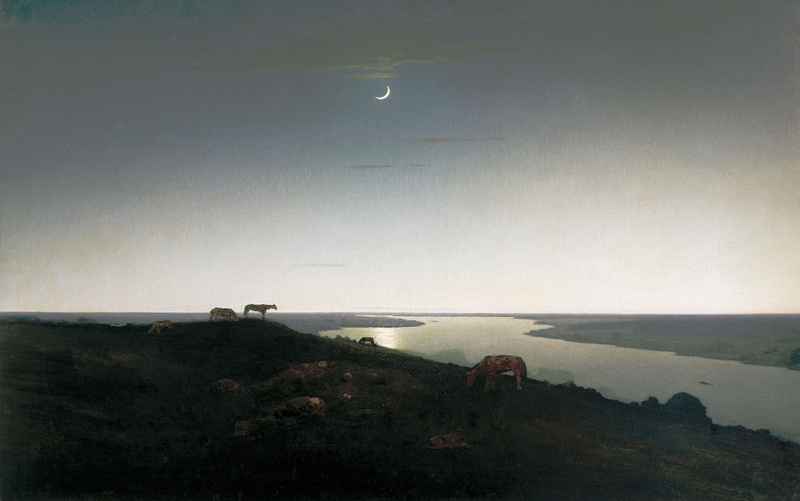 The art movement of Romanticism, which was firmly established in the European artistic tradition in the 19th century, intensified the existing interest in landscape art. 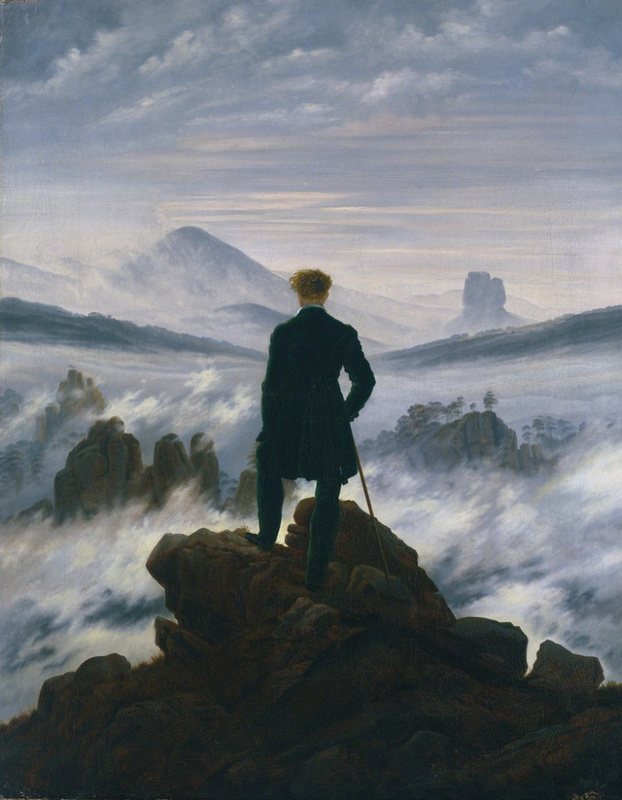 In Germany, the most prominent figure in this field was Caspar David Friedrich, for whom nature became a way to express his deep spiritual experiences. 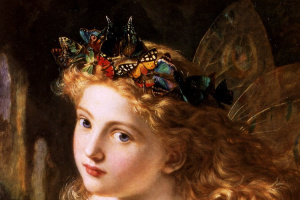 "The artist began creating the artwork, that’s now nearly synonymous with his name, around 1817−1818. To construct the composition, Friedrich traveled to the Elbe Sandstone Mountains (now the territory of the Czech Republic) southeast of Dresden. He sketched individual rocks and natural forms with intense detail. Back in his studio, he cobbled these together to create a new, imaginary landscape. Between the viewer and the foggy distance, Friedrich painted a Rückenfigur, or a figure seen from behind… this might be a volunteer ranger for King Friedrich Wilhelm III of Prussia’s war against Napoleon. …The artist’s legacy suffered when Hitler and the Nazis claimed Friedrich as their ideological forebear in the 1930s…" - the painting description on Arthive. Since about the 1830s, the Barbizon School of French landscape painters initiated a landscape tradition that would become the most influential in Europe. 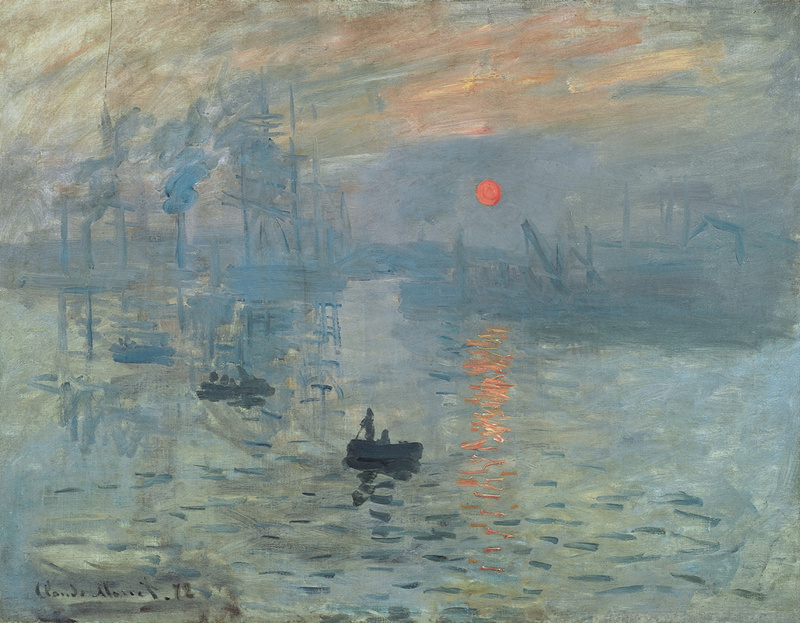 The Impressionists and later Post-Impressionists for the first time introduced landscape painting as the main source of general stylistic innovation across all types of painting. Plein-air painting filled the landscapes with light and air, made them airy, impetuous, changeable. 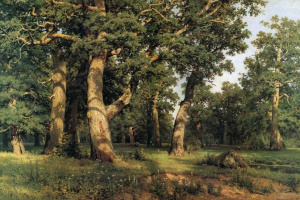 In the United States, as well as in the Russian Empire, the features characteristic of national landscapes formed the basis for the development of landscape painting as a genre. In the US, landscape painting began to develop from the late 20s of the 19th century, giving rise to a new direction, called the Hudson River School. 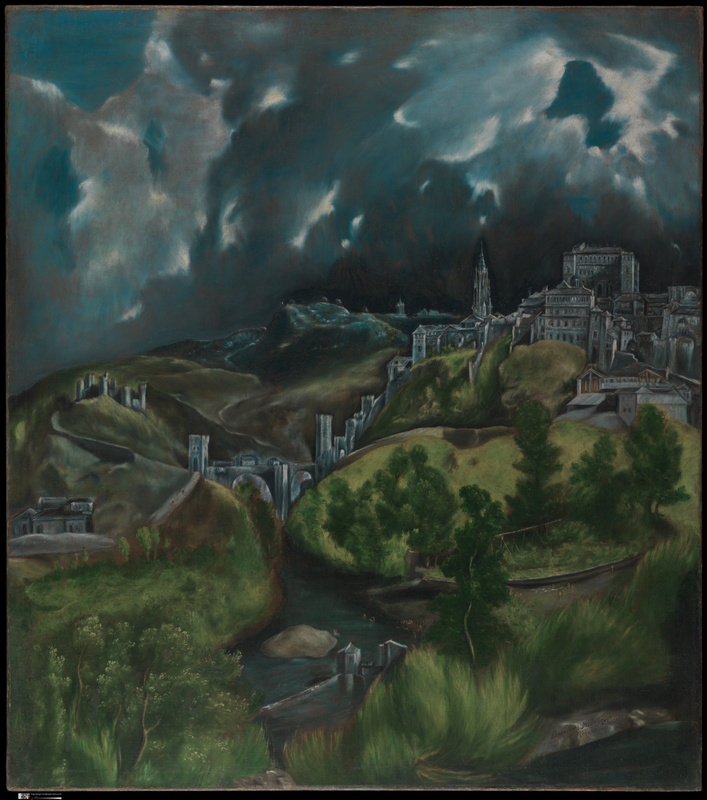 The practitioners of the School painted the picturesque areas of New England and, above all — the Hudson River Valley. The romantic landscapes of these artists have become the benchmark for the image of the nature of the young state, passing through the initial stages of national identity. 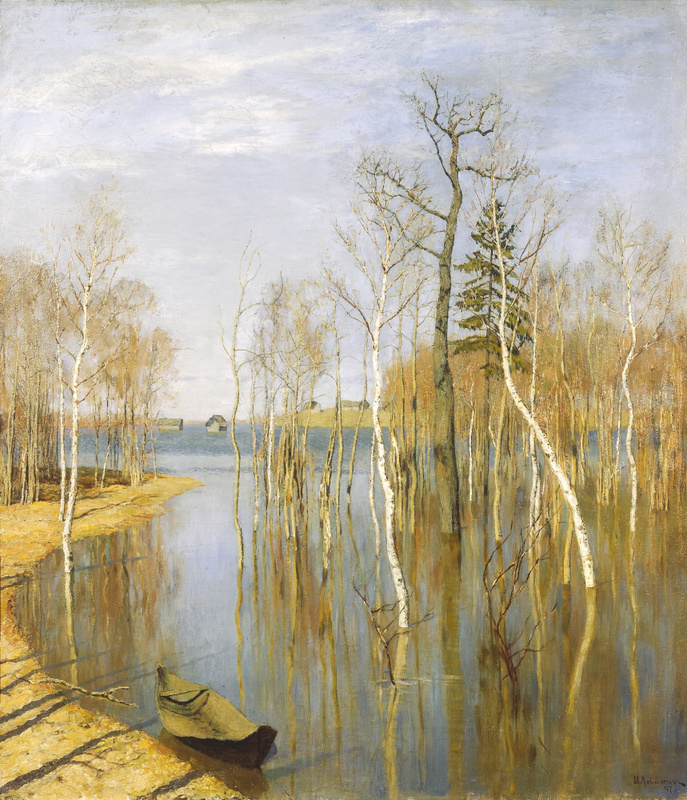 The founder of Russian landscape painting is considered to be Semyon Shchedrin, whose works were created according to the canons of Classicism. The works of Fyodor Matveyev and Andrey Martynov are based on the same principles. , and landscape painting became another way of expressing the national idea. 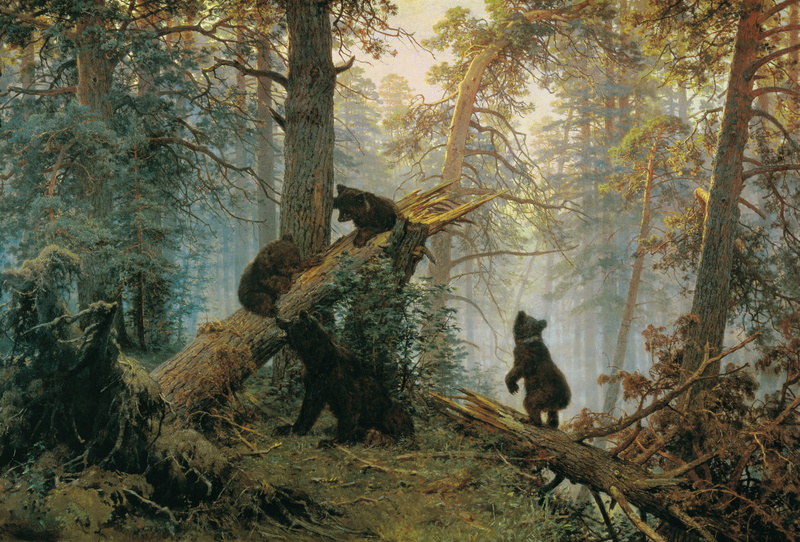 Such, for example, are the landscapes of Alexey Venetsianov, depicting nature of Central Russia, Ivan Aivazovsky's seascapes, works by Lev Lagorio and Alexey Bogolyubov. 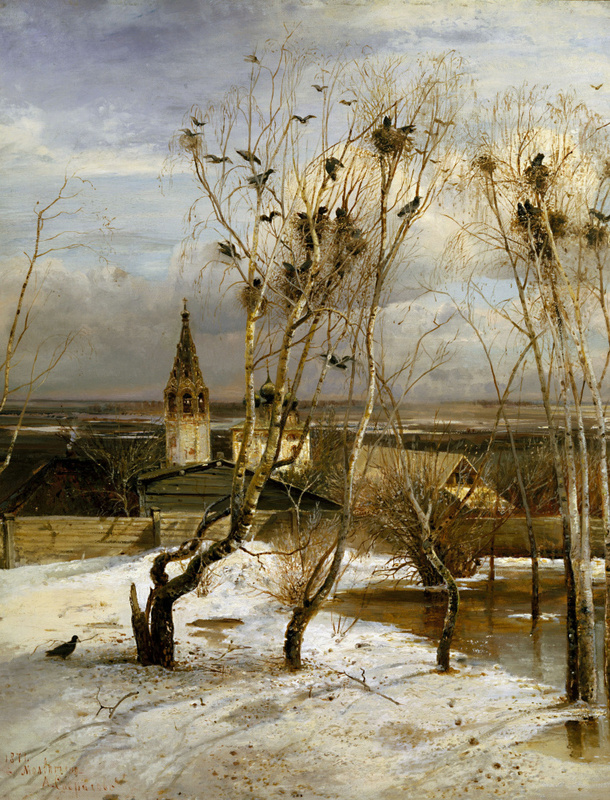 Mikhail Clodt was a recognized master of the epic landscape, Viktor Vasnetsov was fascinated with fairy-tale subjects, Alexey Savrasov became the founder of lyrical landscape painting. Famous landscape painters: Katsushika Hokusai, Joachim Patinir, Canaletto, Jacob van Ruisdael, Jan van Goyen, Adriaen van de Velde, Jan Porcellis, Caspar David Friedrich, John Constable, William Turner, Jean-Baptiste Camille Corot, Jean-Francois Millet, Camille Pissarro, Pierre-Auguste Renoir, Claude Monet, Paul Cézanne, Frederic Church, Albert Bierstadt, Thomas Cole, Andrew Wyeth, Ivan Aivazovsky, Ivan Shishkin, Lev Lagorio, Mikhail Clodt, Alexey Savrasov, Vasily Polenov, Isaac Levitan, Arkhip Kuindzhi, Valentin Serov, Konstantin Korovin, Igor Grabar, Pyotr Konchalovsky, Kyriak Kostandi. Famous landscapes: Katsushika Hokusai — The Great Wave off Kanagawa; John Constable — View of Highgate from Hampstead Heath; William Turner — Snow Storm: Hannibal and his Army Crossing the Alps; Claude Monet — Impression, Sunrise; Frederic Church — The Heart of the Andes; Aleksey Savrasov — The Rooks Have Come Back; Ivan Shishkin — The Morning in a Pine Forest; Ivan Aivazovsky — Rainbow; Isaac Levitan — Over Eternal Peace; Arkhip Kuindzhi — Moonlight Night on the Dnieper.